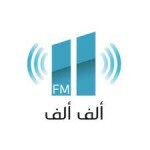 Alif Alif FM is a Saudi Arabia based radio which is live broadcasting from Riyadh. In Riyadh and around the country the radio plays Arabic music non stop for some great time pass with their listeners. Alif Alif FM along with playing Arabic music also plays internationally popular songs for their listeners.